As an independent Audiology practice, we are able to provide hearing aids from all major manufacturers around the world. As a result, we offer an extensive range of hearing aids to suit the medical and cosmetic requirements of all our patients. For example, we are one of the very few centres in the UK to offer the world’s first 100% fully invisible hearing aid – the Phonak Lyric. Click here to view the full range of hearing aid types that we offer. 1. The Premium range – will be the latest models available from our supplier list. This means the device will be of the highest level of specification and will have on board the latest features available – for clients wanting the best technology and wanting to maximise the usefulness of hearing aids, this is what will be suggested first. 2. The Advanced range will still be very rich in specification and performance but will not have some of the newer features seen in the premium range. For example, an advanced hearing system may have been premium a year or two ago, making it a very capable and proven device but not the best available. This allows us to pass it on at a very attractive price. 3. 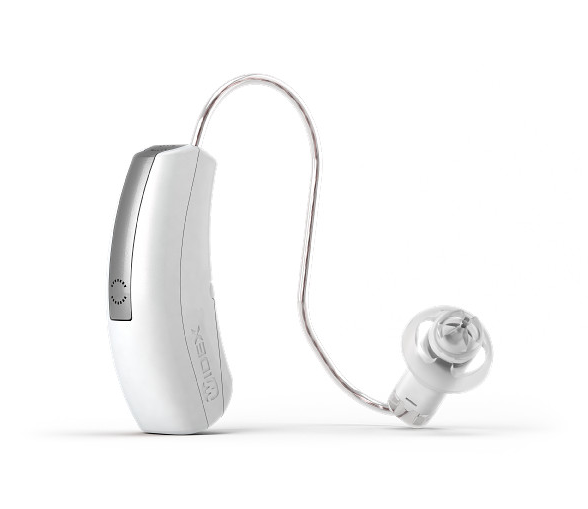 The Essential range – of hearing systems will be more basic technology but what makes our industry interesting now is that even the entry level devices are very capable and comprehensive, suiting patients on a budget whose lifestyle isn’t as fast paced. Whether your choice is Premium, Advanced or Essential, we will still provide the same high level ongoing aftercare for the lifetime of the device included, all inclusive of the price.